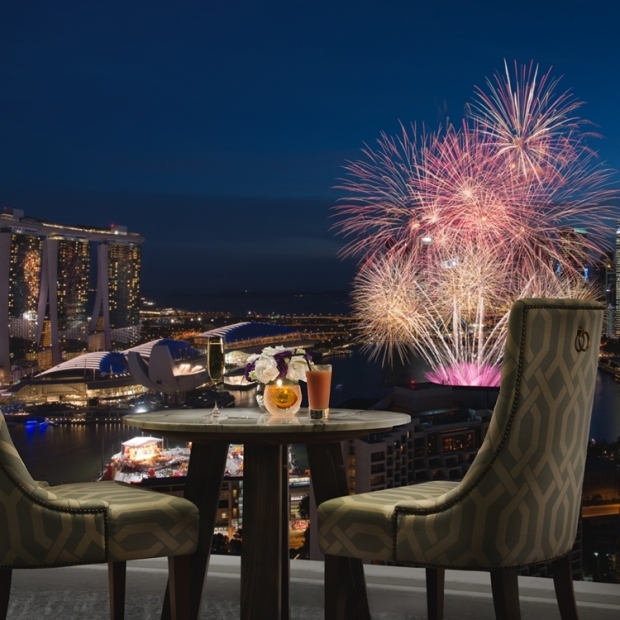 Celebrate New Year's Eve in our luxurious Presidential Suite or Harbour Suites and welcome 2019 with our exclusive New Year's Eve Countdown Suite Offer. 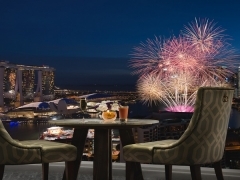 Offer includes complimentary access to the New Year's Eve Countdown Package at Pacific Club, the perfect vantage point on level 38 to catch the spectacular display of fireworks with unlimited bubbly, tipples and delectable canapes. Be charmed by the unique vocals of Ms Ywenna Carollin, our vocalist for the night, and be serenaded with her impressive repertoire of jazz, pop and evergreens. Exclusive privileges as our Pacific Club guest. Offer is valid for bookings made from now until 31 December 2018 and for stays from 30 December 2018 to 1 January 2019 with a minimum two nights' stay. Prepayment required upon reservation and is non-refundable. Amendments and cancellations not allowed. All prices are in Singapore dollar and subject to 10% service charge and applicable Goods and Services tax. Fireworks show is subject to weather conditions and organising authorities. Pacific Club will be closed from 8pm to 10:30pm on 31 December 2018 in preparation for the New Year's Eve countdown party. Guests above 12 years of age are welcome at the Pacific Club.